Reddy, C.M., G.R. Dillip, K. Mallikarjuna, S.Z.A. Ahamed, B.S. Reddy and B.D.P. Raju, 2011. Absorption and fluorescence studies of Sm3+ ions in lead containing sodium fluoroborate glasses. J. Lumin., 131: 1368-1375. Reddy, C.M., G.R. 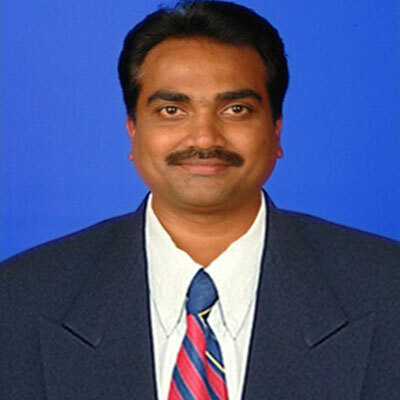 Dillip, K. Mallikarjuna, B.S. Reddy, K.V. Raju and B.D.P. Raju, 2011. Optical absorption and photoluminescence studies of Dy3+: LCZSFB glasses. Photonics Lett. Poland, 3: 32-34. Reddy, C.M., G.R. Dillip and B.D.P. Raju, 2011. Spectroscopic and photoluminscence characteristics of Dy+3 ions in lead containing sodium fluoro borate glasses for laser materials. J. Phys. Chem. Solids, 72: 1436-1441. Narasimha, G., B. Praveen, K. Mallikarjuna and B.D.P. Raju, 2011. Mushrooms (Agaricus bisporus) mediated biosynthesis of silver nanoparticles, characterization and their antimicrobial activity. Int. J. Nano Dimension, 2: 29-36. Mallikarjuna, K., G. Narasimha, G.R. Dillip, B. Praveen and B. Sreedhar et al., 2011. Green synthesis of silver nanoparticles using ocimum leafextract and their characterization. Digest J. Nanomater. Biostruct., 6: 181-186. Mahitha, B., B.D.P. Raju, G.R. Dillip, C.M. Reddy and K. Mallikarjuna et al., 2011. Biosynthesis, characterization and antimicrobial studies of AgNPs extract from bacopa monniera whole plant. Digest J. Nanomater. Biostruct., 6: 135-142. Dillip, G.R., P. Raghavaiah, K. Mallikarjuna, C.M. Reddy, G. Bhagavannarayana, V.R. Kumar and B.D.P. Raju, 2011. Crystal growth and characterization of γ-glycine grown from potassium fluoride for photonic applications. Spectrochim. Acta A Mol. Biomol. Spectrosc., 79: 1123-1127. Ahamed, S.Z.A., G.R. Dillip, K. Mallikarjuna, P. Raghavaiah and B.D.P. Raju, 2011. Spectroscopic and thermal studies of γ-glycine crystal grown from potassium bromide for optoelectronic applications. Arabian J. Chem., (In Press) 10.1016/j.arabjc.2011.06.006. Jaidev, C.H.L.R., B.D.P. Raju and G. Narasimha, 2010. Chemical synthesis of magnetic iron nanoparticles and their antibacterial activity. Nano Sci. Nano Technol., 4: 20-23. Ahamed, S.S.A., G.R. Dillip, L. Manoj, P. Raghavaiah and B.D.P. Raju, 2010. Growth and characterization of a new NLO material: L-serine sodium nitrate. Photonics Lett. Poland, 2: 183-185. Rao, J.L., B.D.P. Raju, N.O. Gopal and K.V. Narasimhulu, 2005. Electron paramagnetic resonance and optical absorption studies on Mn2+ ions doped in KZnClSO4.3H2O single crystals. Physica B: Condensed Matter, 355: 207-215. Raju, B.D.P., N.O. Gopal, K.V. Narasimhulu, C.S. Sunandana and J.L. Rao, 2005. Variable temperature EPR spectra of Copper (II) ions in kainite crystals. J. Phys. Chem. Solids, 66: 753-761. Raju, B.D.P., J. Lakshmana Rao, K.V. Narasimhulu, N.O. Gopal, C.S. Sunandana, 2005. EPR and optical absorption studies on Cr3+ ions doped in KZnClSO4.3H2O single crystals. Spectrochim. Acta A, 61: 2195-2198. Raju, B.D.P., K.V. Narasimhulu, N.O. Gopal and J.L. Rao, 2003. EPR and optical absorption studies on VO2+ ions in KznClSO4.3H2O single crystals: An observation of superhyperfine structure. J. Phys. Chem. Solids, 64: 1339-1347.